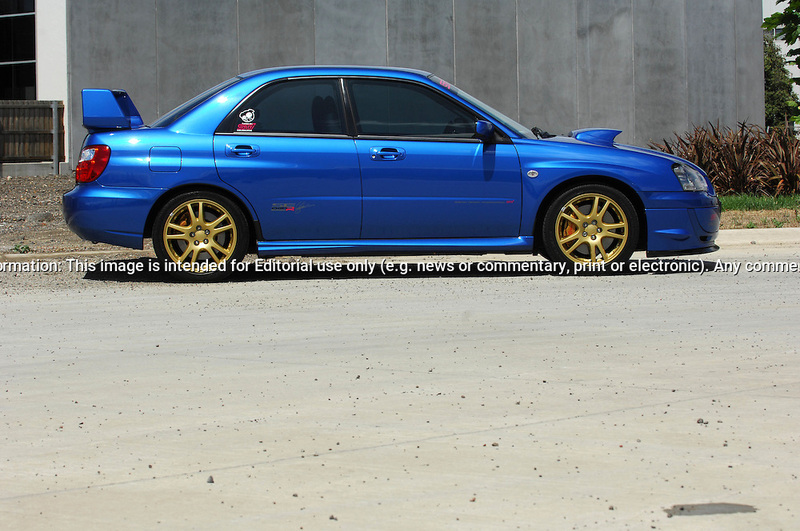 2004 MY04 Subaru Impreza WRX Sti .Cody Crocker Edition - World Rally Blue .Industrial Estate,.Port Melbourne, Victoria.21st of Janurary 2007. (C) Joel Strickland Photographics.Use information: This image is intended for Editorial use only (e.g. news or commentary, print or electronic). Any commercial or promotional use requires additional clearance.